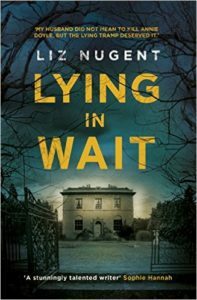 Louise Phillips Writer: A Feast of Irish Crime Novels for June & July 2016! 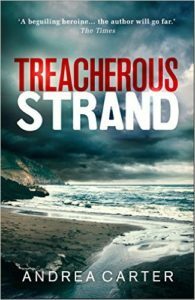 A Feast of Irish Crime Novels for June & July 2016! After a stint as a private contractor in Afghanistan, Danny Lynch is back in New York. But nothing's easy. Work is hard to find and his girlfriend owes more than $30,000 in student loans. Danny is also haunted by something he witnessed at the base - a fact that could ultimately destroy him. Then he spots Teddy Trager, tech visionary and billionaire. These two men couldn't be more different - except for one thing: in appearance, they're identical. 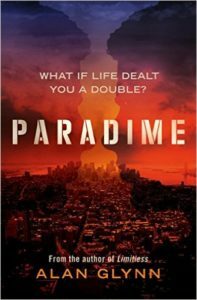 From the prize winning author of Limitless, Paradime is a novel for fans of the great '70s conspiracy thrillers, rebooted for today's ever-globalising world. When Zoe Barry walks into Professor David Connolly's office and announces that she is his daughter, he is left reeling. Suddenly his family - imperfect, flawed, but working - is trying to find space for someone new. But Zoe's stories don't quite add up and lies become indistinguishable from truths. 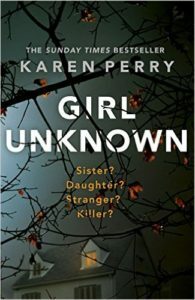 The family struggle to make sense of whether she is a sister, a daughter, a friend, an enemy. But no one could have expected where it all might end. Because they have let into their home a girl that they do not know. And now everything they have built has begun to violently, determinedly, break apart. A woman's body washes up on a remote beach on the Inishowen peninsula. Partially-clothed, with a strange tattoo on her thigh, she is identified as Marguerite Etienne, a French woman who has been living in the area. Solicitor Benedicta 'Ben' O'Keeffe is consumed by guilt; Marguerite was her client, and for the second time in her life, Ben has failed someone who needed her, with tragic consequences. So when local Sergeant Tom Molloy dismisses Marguerite's death as the suicide of a disturbed and lonely woman, Ben cannot let it lie. 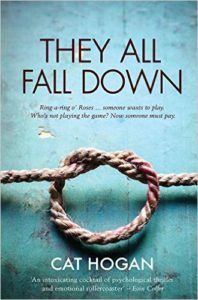 Raw and energetic, They All Fall Down is a fast-paced and addictive novel exploring the depths of flawed human nature, the thin line between love and obsession and the destructive nature of addiction. 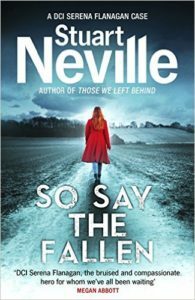 When DCI Serena Flanagan is asked to sign off the suicide of a severely disabled local businessman, she finds herself envying the grieving widow's comfortable life and devoted marriage, until the widow's close relationship with the local rector starts to sound an alarm. But with a clean crime scene and no evidence to back her up, have Serena's instincts led her down the wrong path? With her husband struggling to deal with the aftermath of an attack that nearly cost him his life, and her young children anxious and unhappy, Serena's determination to unlock the mystery of what happened in that house may cost her her job - and her family. CWA Dagger 2016 Shortlists Announced!! !